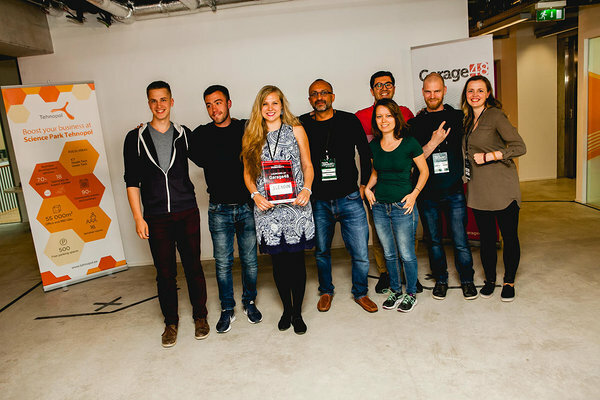 Garage48 Tech for Humanity was an inspiring & sensational event with only good vibes in the house. 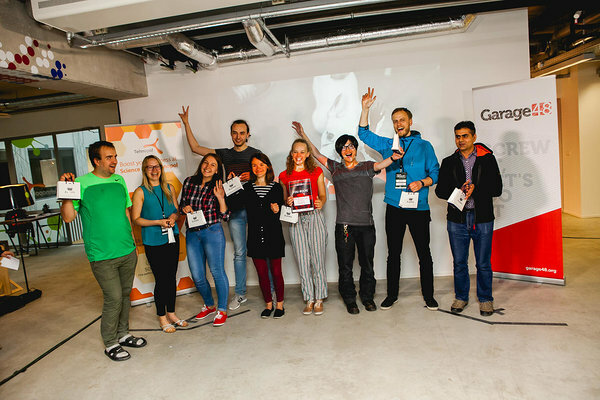 On Friday, June 9, 90 participants gathered at Tehnopol Startup Incubator with a goal to make the world a better place. 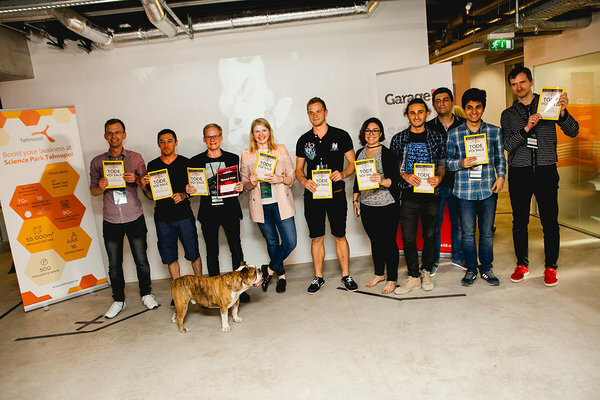 26 ideas were pitched, out of which 9 teams were formed and 8 of them made it through the 48-hour sweat and tears (and also a lot of fun!) to the Sunday night demo. 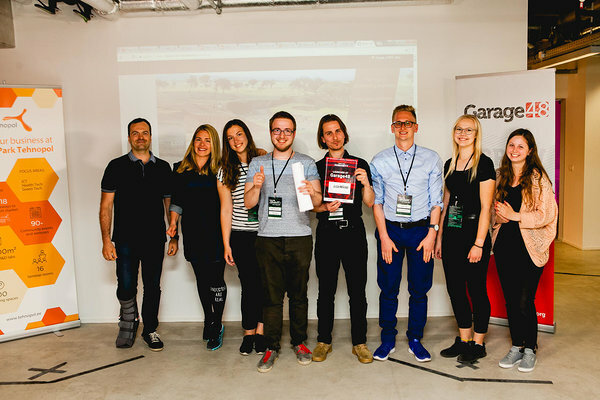 The focus of this weekend hackathon was to bring attention to the people and problems, who might not have a strong voice of their own: natural disaster relief, the refugee crisis and making life quality better in developing countries. 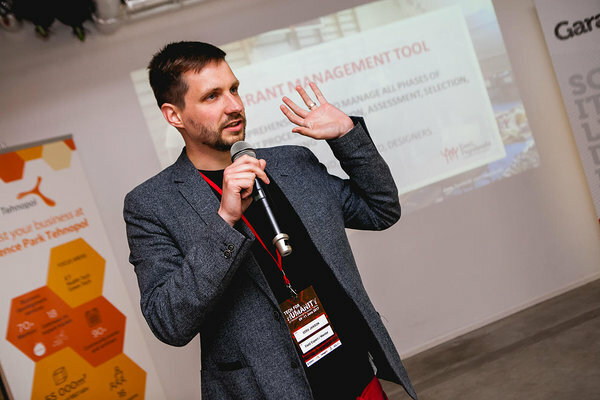 The event would not have happened without the two biggest supporters - the Estonian Ministry of Foreign Affairs and our co-organisers from Tallinn Science Park Tehnopol. A Big Thank You for this amazing initiative! Focusing the topic of this hackathon, we had tremendous help from our 3 very good partners - NGO Mondo, the Estonian Refugee Council & the Estonian Rescue Board. A big thank you to them all and especially to Maari Ross (Mondo) for active participation in the preparation, to Eero Janson (Refugee Council) for caring and contributing immensely, to Siim Nemvalts (Rescue Board) for a big heart and to Tarmo Terep (Rescue Board) for mentoring actively. We were happy to host a very cool council of mentors from around the world: Tarun Sarwal (International Committee of the Red Cross - ICRC), Daniel Dobos (Global Humanitarian Lab, CERN), Chiara Zanette (ICRC), Elise Sass (Microsoft), Martin Goroško (Tehnopol), Liis Narusk (Garage48 Elevate), Siim Nemvalts (Estonian Rescue Board), Eero Janson (Estonian Refugee Council), Tarmo Terep (Estonian Rescue Board), Mari Kniks (NGO Mondo), Kristi Ockba (NGO Mondo), Veronika Svištš (NGO Mondo), Jaanika Hirv (TLU), Cesar Zeppini (Pocopay), Fred Moritz (Imagine AD), Tauri Tuubel (Defendec), Chris Raastad (Transferwise), Kersti Eesmaa (Estonian Ministry of Foreign Affairs - MFA), Stewart Mills (MFA). A big thank you to all the mentors on behalf of the team and participants! 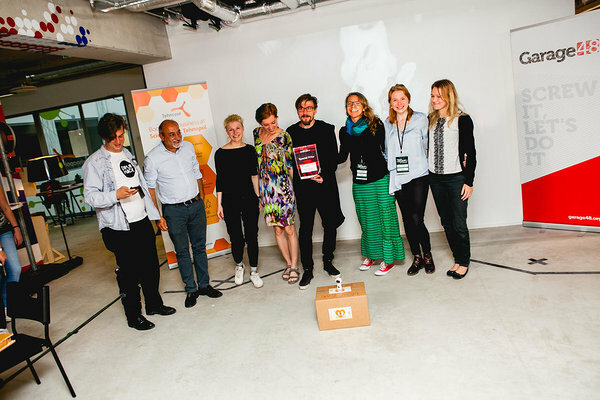 Special thanks to our jury members: Stewart Mills, Reigo Ginter (Estonian MFA), Elise Sass, Martin Goroško, Liis Narusk, Tarmo Terep, Chris Raastad, Martin Verrev (Qminder), Cesar Zeppini & Fred Moritz. Crisis Manager allows two-way communication between the people and the authorities in case of emergency. 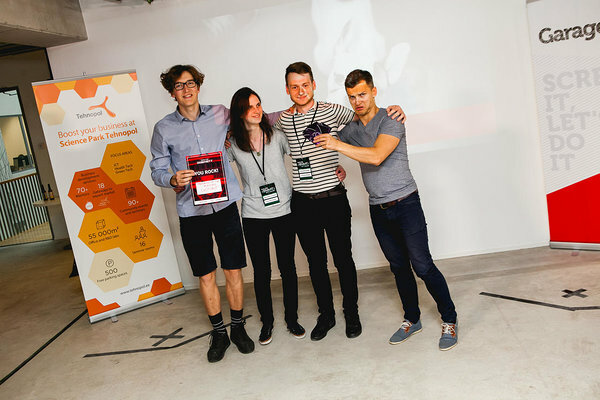 Prize: 6 months incubation at the Tehnopol Startup Incubator, 100€ gift cards & Pro MacOS training from Valge Klaar, card holders from Éstie. Crisis Manager allows authorities and first responders communicate with the population to ensure their safety and help the rescue effort. The citizens are made aware of the situation through mobile communication such as SMS and will be able to follow the procedures to protect themselves. The rescuers will get a live picture of the needs and locations of affected individuals. 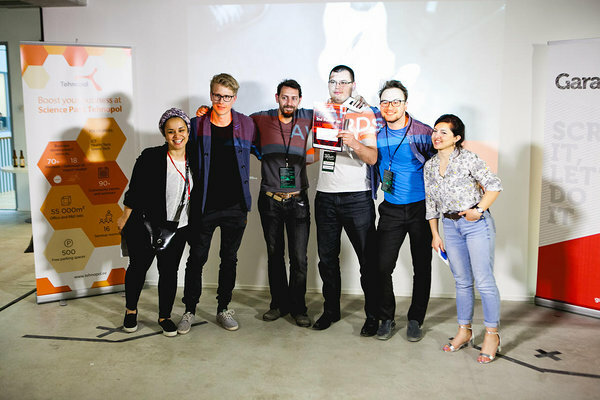 They will be ready to launch their product after a few months of development and start testing it in collaboration with the Estonian Rescue Board and the Estonian Ministry of Foreign Affairs. Settle Better - Teleport for refugees. Prize: Treated by the eforea spa of Hilton Tallinn Park Hotel. Settle Better is an algorithm for a matching system between the refugees and locations for sustainable and satisfactory resettlement. The product reduces bureaucracy and saves time for the workforce. In a couple of weeks, they are ready to start cooperation with the Estonian Refugee Council to test, develop and validate the product. Locus is a geo-location P2P based platform providing the refugees in the camps the information and the navigation tools they need in order to easily find and reach to the points of contact. Prize: Minimalist leather card holders from Mokoko Labs. Locus is also a suitable solution for large entertainment events, such as music festivals. Since every refugee camp and event needs a tailor-made solution, the sustainability is ensured through offering a free solution to one refugee camp per each festival that has purchased the product. 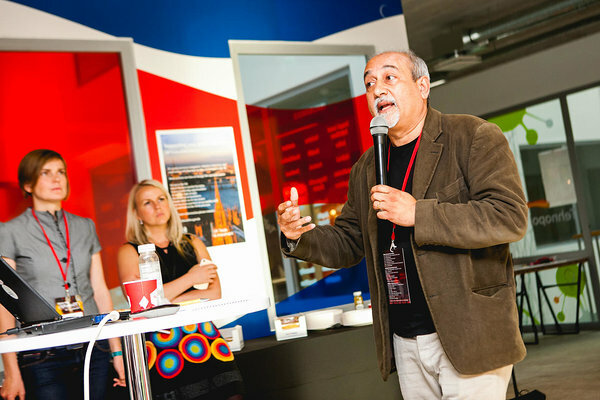 Pitching the product to EU representatives & decision makers at an EU Presidency event in Estonia. Faro is all about humanitarian aid. They provide a universal web-based platform for disaster zones and NGOs to connect and share details about the crisis. Prize: 6 month Subscription to National Geographic Estonia. Today, the affected countries and aid organisations don’t share information enough, the result is a waste of resources and time. FARO’s aim is to improve co-operation and efficiency in the humanitarian sector to provide the necessary aid. A space both virtual and real for refugees to develop skills, regain control of their lives and livelihoods. Prize: A Box of Freshly Brewed Craft Beer from Õllenaut. 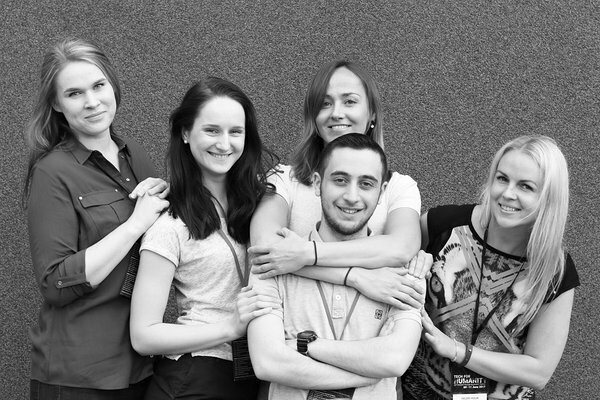 Team Touch will be testing, developing and validating their project in cooperation with the International Red Cross. Goforit life coaching chatbot will simply help you figure out the desired goal, state or clarify to make your life more purposeful & meaningful. Prize: Tickets to the Kosmos Imax Movie Theatre. The best part is that chatbot will hold you accountable to you reach your desired results through human-like experience on your messenger and once your are ready you can hire a real coach. The solution is offered for free to refugees and people affected by disasters. The sustainability is achieved through a monthly subscription offered in the developed countries. An App for people who are just arrived in a new country to search for help, advice and connect with others. Building a housing is easy and quick with light, affordable, durable and reusable polymer bricks that would allow you to customise the structure you any need you may have. 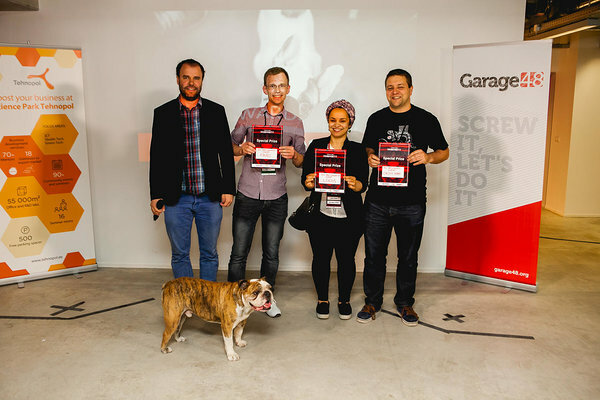 Our gratitude goes to our partners and co-organisers from Tehnopol - Heleri, Kairi, Martin, Katre. 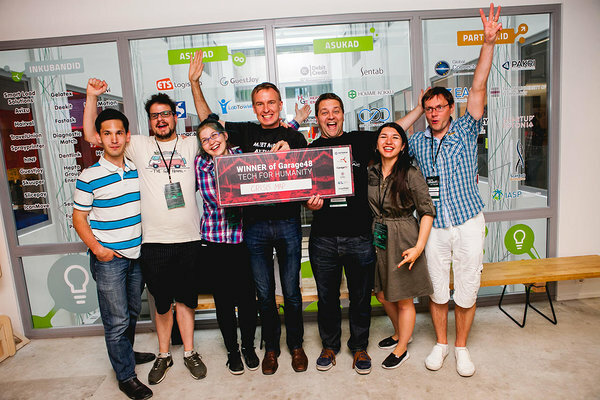 Thank you for hosting us and helping to create this magical hackathon! And BIGGEST THANK YOU’s of all to our AMAZING VOLUNTEERS - Kelli and Ucha, without You, this event would not have happened!!! Last, but not least, a VERY BIG THANK YOU to all the companies who took care of us over the weekend - provided us with tasty food, drinks and super cool prizes - without you, we would not exist: Valge Klaar, Éstie, Hilton Tallinn Park Hotel, Mokoko Labs, National Geographic Estonia, Kosmos IMAX Movie Theatre, Õllenaut, BalSnack, HeyDay, MaBaker, Nikolay bar-buffé, NJIE, Premia, Red Bull, Tere. 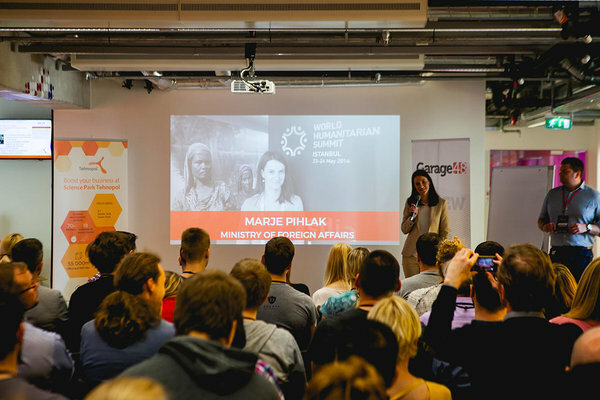 The event was organised by Science Park Tehnopol and Garage48 in partnership with the financial support of Estonian Ministry of Foreign Affairs under the Fund for Development and Humanitarian Aid.